The Friday Show: The Short And The Long Of It? 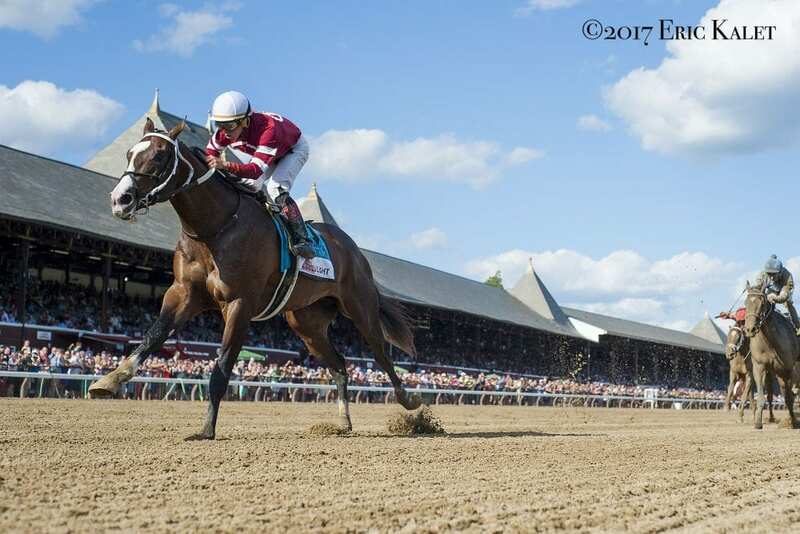 Reports this week suggest the New York Racing Association is considering a significant tweak to next year's schedule — that being, a longer meet at Saratoga with shorter race weeks. In this edition of The Friday Show, Scott Jagow and Ray Paulick discuss the idea, plus what to make of the controversial track announcer change at Santa Anita? Watch The Friday Show and share your thoughts below, take our poll on the home page. This entry was posted in NL Article, Ray's Paddock, The Friday Show, Videos and tagged Frank Mirahmadi, Friday Show, michael wrona, New York racing, New York Racing Association, nyra, Ray Paulick, saratoga, saratoga racecourse, Scott Jagow, The Friday Show, track announcers by Paulick Report Staff. Bookmark the permalink.